As a custom crush winery operating in the famed Margaret River region for almost 15 year, we offer all of our clients the opportunity and infrastructure needed to craft premium wines. Our services include everything from vinification in state of the art facilities with cutting edge resources, to designing unique brand structures and stylistic directions for each client based on their own personal philosophies and business aspirations. Unique and targeted oak profiles and production models, viticultural direction and management strategies, and tried and tested market based experience also form part of our winemaking package. Wines are grown and raised from vine to bottle in the finest conditions possible by our team, led by renowned and highly skilled Chief Winemaker and Owner, Bruce Dukes and Senior Winemaker, Remi Guise. This journey is facilitated by a state of the art processing line, humidified thermal-mass barrel store and perfect temperature control and insulation throughout the process. Dynamic winemaking and a diverse and experienced group of dedicated winemakers bring the entire package together, backed up by decades of experience in all facets of planning, logistics, transport and business management. Great wine cannot exist without great fruit, nowhere do we understand that relationship more than at Naturaliste Vintners. We are constantly striving to unite the two fundamental ingredients required to fulfill our collective goal and passion. Our objective is to work with each and every grower in order to ensure the best quality from each berry of each vine, every year. Our strength is decades of experience in vine production and subsequent winemaking, which gives us a broad-based understanding of the entire process. Vine Management, with special emphasis on canopy management; balancing crop loads to vine capacity and winemaking objectives; integrated pest and disease management; vine nutrition and soil health. The objective is to significantly improve the quality of your grapes, wines and long term vineyard health by applying management techniques which focus on critical control points in viticulture and winemaking, and helping to illustrate the connection between them. Vineyard Capability Assessment, or assessing the suitability of existing or potential vineyard sites for optimal production in relation to wine styles, varieties, production potential, infrastructure, and sustainability. Outsourcing of expert advice is a cost effective method to improve the quality of your vineyards and wines. Investments in expert advice will be reflected on your balance sheet at the end of the year through increased returns and long-term stability. We are proud of the professional management our team can bring to any business. We are experts in viticulture, winemaking, dry goods, planning, logistics, transport and business management and strategy. Our communication streams are hassle free for our clients, and we are able to provide real-time solutions in commercial time frames. We are always just a phone call away. Naturaliste Vintners is able to provide marketing advice and assistance, as well as assist clients through winery visits, tours and tastings with wine buyers, distributors and wine journalists. We are able to provide comprehensive tasting notes, as well as offer advice and guidance on commercial release times, targeted wine show and wine press strategies. Naturaliste Vintners are able to make and supply wines to order from our state of the art winery in Margaret River. We specialise in Margaret River, Geographe, Pemberton and Blackwood Valley viticultural areas. Sourcing fruit and making wines to your requirements of product lines, budget and timetable - a reliable and easy way to ensure ongoing quality and continuity of supply. Sourcing bulk wines, blending, enhancing, optimising wine quality, as well as preparing the wines to bottle ready condition. These services are quality controlled and directed by Chief Winemaker, Bruce Dukes (Western Australian Winemaker of the Year 2011). 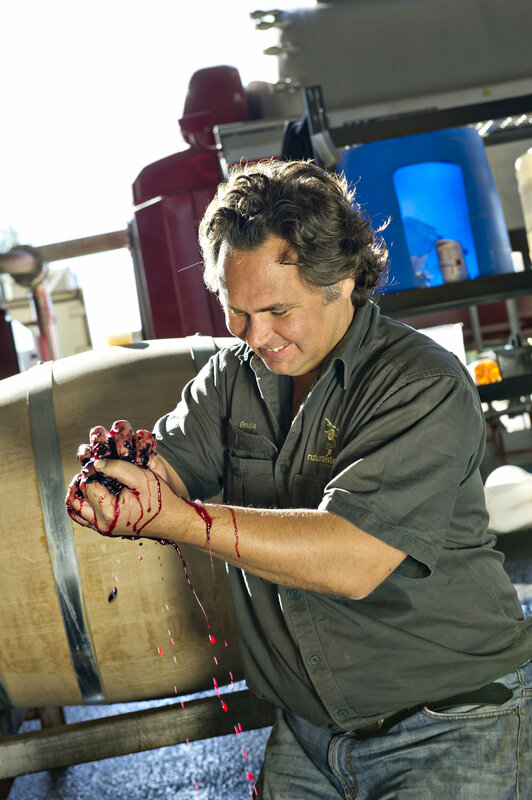 Bruce offers three decades of professional wine industry experience. Matching of varieties and clones to the best soil types, site and management systems in vineyards is a key determinant of wine quality. Bruce has an intimate knowledge of vineyards and winemaking techniques, allowing us to source the best possible fruit and make the wines to suit your requirements. We have extensive networks in place.